Whilst in Europe earlier this month, I visited Città di San Marino, a medieval settlement situated on the slopes Monte Titano, over 700m above sea level. San Marino was added to the Unesco World Heritage list in 2008 and walking around the hilltop enclave, it was very easy to see why. 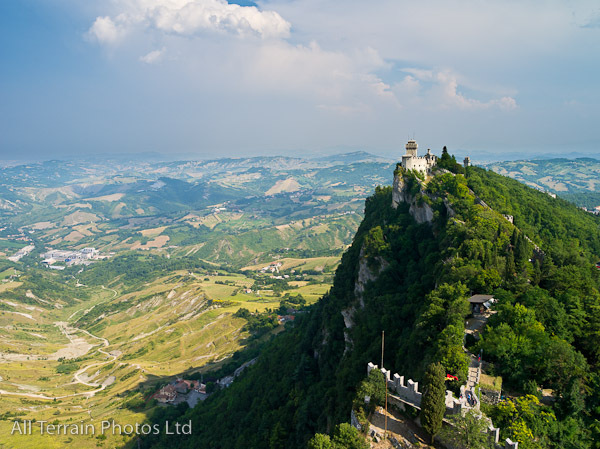 San Marino, situated close to the Adriatic coast, is the third smallest state in Europe after the Vatican and Monaco and claims to be the world’s oldest republic, being established in 301 AD by a Christian stonemason named Marinus, who, once climbing climbed Mt. Titano, found a small community of Christians, persecuted for their faith by the Emperor Diocletian. 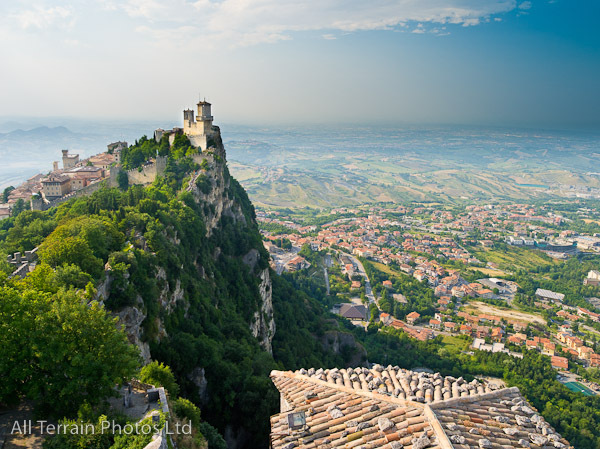 The Republic of San Marino is made up of a few towns dotted around Mount Titano and the capital. The city walled city has three distinct towers that overlook the rest of the country and are visible for miles around. This is a reverse view of the central fort from the top of the previous hilltop fort, looking down over most of the Republic of San Marino.